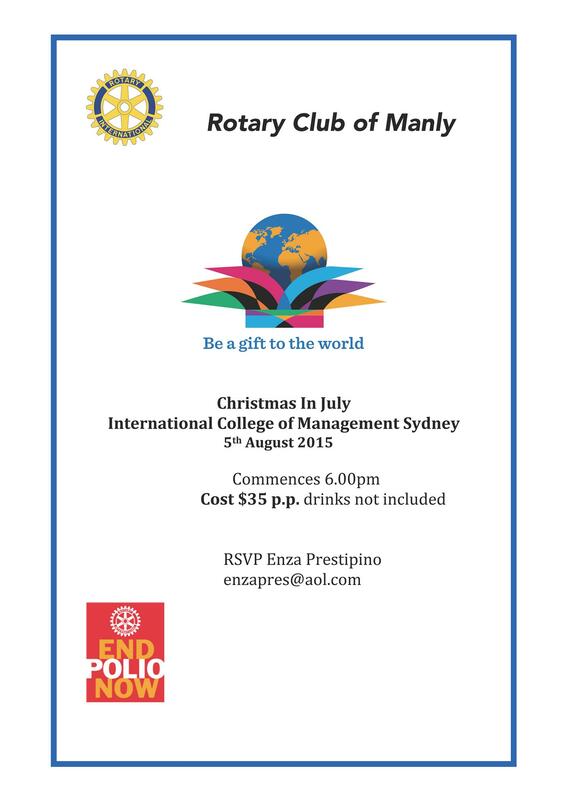 The Rotary Club of Manly fellowship night will be held on the 5th August 2015 with a evening at The International College of Management in the Great Hall. Dinner consists of a 3 course meal with the Christmas in July theme. Join us for a night full of fun and fellowship.